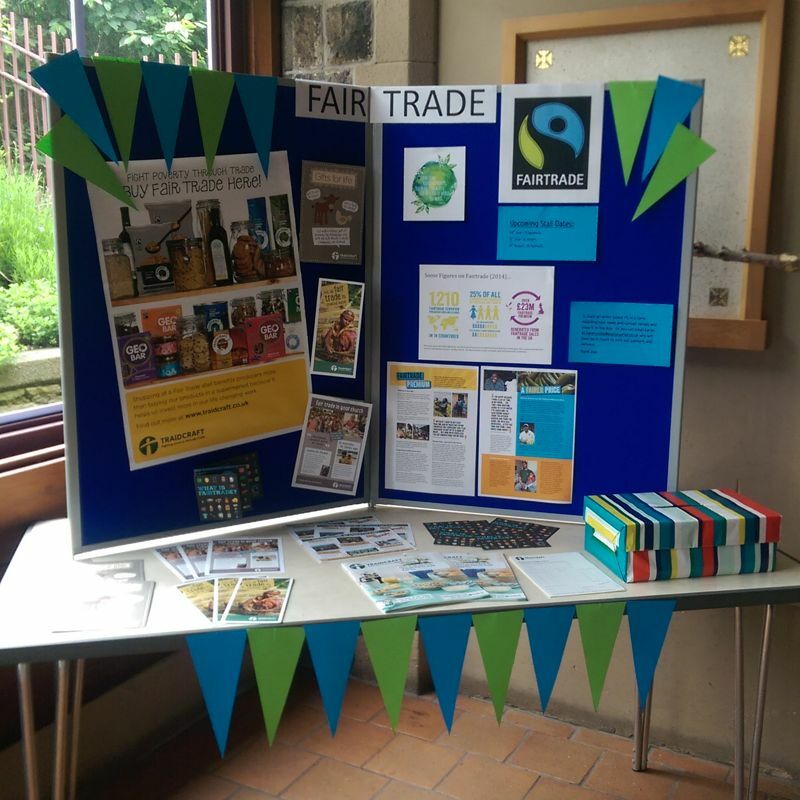 Manor Parish is already a Fairtrade parish supporting growers overseas by serving Fairtrade tea and coffee. After some initial research to find out what sort of things people might be interested in buying, a small team is now running a regular stall selling cards, chocolates, biscuits and other items. As Christians we believe that it is important to challenge unjust structures in our society and across the world and this is one way in which we can do this. Whether people are able to buy one thing each week or many things that are Fairtrade, and whether they buy from our stall or from their local supermarket, our aim is to encourage and model the love of Jesus for our neighbour, wherever they may be. At St Aidan's there is a permanent display as you enter church giving lots of information on Fairtrade, how supporting Fairtrade helps poorer communities around the world, the dates of upcoming stalls at both St Aidan's and St Swithun's, and also the opportunity to browse the latest catalogue and place an order. Brand New Service for St Swithun's - Family Church in the afternoon!